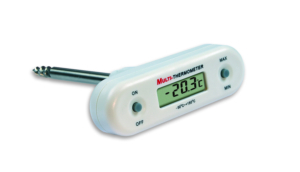 The temperature of food of any kind can be measured quickly, accurately and easily with the handy thermometer. 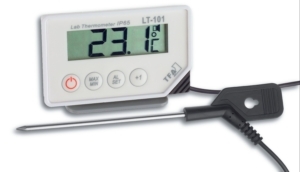 Simply stick or immerse the probe into what needs to be measured and within a very short time the device delivers accurate measurement results. 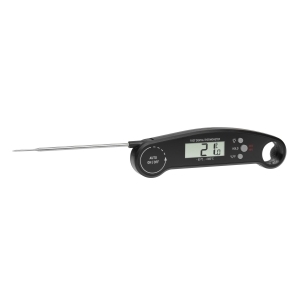 The practical thermometer is HACCP compliant and ideally suited for professional use in industry, commerce, trade and laboratory. 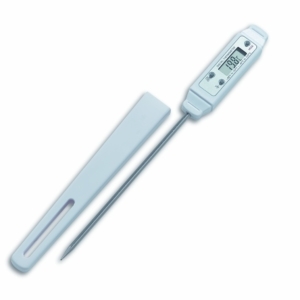 For easy temperature measurement of liquid, powdered and paste-like food.